Santa Claus has been around as long as anyone can remember, and yet his magical annual toy operation hasn’t yet been modernized. Do you wonder what would happen if we applied modern business practices and updated technology to Santa’s old-fashioned operations? Let’s consider some key ways to upgrade the North Pole. Across the globe, there are 526 million Christian children under the age of 14 who could believe in Santa or their culture’s version of him. Not only does the quantity of toy requests mean that Santa needs a massive receiving team, but the customer service elves also need to be able to speak many different languages. After all, Santa Claus also goes by Sinter Klaas, Babbo Natale, Hoteiosho, De Kerstman, and many other names from different languages and cultures. If Santa were to improve his customer service by giving each child a chance to have an annual phone call with the North Pole, he would need a customer service staff of about 30,000 elves. That’s based on a customer service agent’s average rate of 50 calls per day. That’s 5.8 times larger than the biggest call center in the United States. The largest is an American Express call center in Phoenix, AZ, with 5,200 employees. In Westlake, TX, a Fidelity Investments call center has 4,400 employees. We like to think that the North Pole would be outfitted with pay less for phone service while accessing enterprise-grade phone features and low-cost international rates. No longer do elves need to labor endlessly at the North Pole workshop. Thanks to automation, elves can manage a digital workstation for a mostly hands-free manufacturing process. On average, automation saves companies 16 to 22 percent on labor costs. In some factories, 90 percent of humans have been replaced by robots. In an automated North Pole toy factory, a manufacturing line with 12 robotic stations can make 7,200 toys per day. This is based on the build rate of the ToyMaker 3000 at the Museum of Science+Industry in Chicago, which can produce 300 toys per hour. Running 24/7, Santa would need 200 manufacturing lines to build one toy per child for his yearly Christmas delivery. Manufacturing estimates assume that nine robots are equivalent to about 140 full-time workers. Therefore, Santa’s automated toy factory would be the equivalent of 112,085 elves working 8-hour shifts. Cloud computing is another way to update North Pole operations. Of the companies using cloud computing in 2013, 88 percent reported that using the cloud lowered their expenses. Fast forward to 2018, and 96 percent of businesses are using cloud computing, making it nearly essential for a digital North Pole. With all the info in the cloud, Mr. and Mrs. Claus can get a break from the cold and snow by telecommuting. Companies where workers telecommute see a productivity boost that’s equivalent to a full day’s work. On Christmas Eve, Santa delivers presents to 22 million kids per hour. That’s 365,000 kids per minute or about 6,100 kids per second. To update his delivery process, reindeer drones could fly across the sky delivering packages. To calculate the number of reindeer drones needed, we start with the assumption that 55 percent of the population live in urban areas within effective drone delivery range. This is based on delivery drones having a range of 10 miles due to the flight capacity to travel at 40mph for 30 minutes. Therefore, delivering presents to 289 million kids during the night would take 12 million drones! Widespread use of drones for package delivery will likely occur in the near future, and 75 percent of shoppers expect drone delivery by 2021. For Santa, drone delivery would be especially useful based on the sheer scale of his Christmas Eve operation. In just one night, he’s responsible for delivering 38 times as many boxes as Amazon ships in a day and 26 times as many packages as UPS delivers in a day. Just as NORAD’s Santa Tracker provides real-time location updates, the FAA could share data about the “reindeer” locations. As of 2016, 82 percent of consumers wanted proactive status updates about package deliveries. The rate of interest is likely higher today, and a Santa app could be a comprehensive information portal. What if the Children Weren’t Very Good This Year? We don’t have access to Santa’s data analytics dashboard to know this year’s final numbers on how many good children will be getting a toy and how many bad children will be receiving a lump of coal. However, we can calculate that if each child received a 2-cubic-inch lump of coal, it would take 13 minutes of all the U.S. coal production. To get that number, we multiplied one lump of coal times 526 million children, times the density of coal (1g/cm3). This tells us that Santa needs 19,000 short tons of coal, which is 0.002375 percent of the country’s one billion ton daily operations. To break that down into time, that would be 13 minutes of coal production. Santa isn’t alone in the daunting task of modernizing operations. In fact, 73 percent of Fortune 500 CEOs say that rapidly changing technology is their biggest challenge. However, implementing new technology can optimize workflows, reduce costs, and open up new customer experiences. 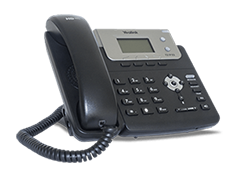 After all, think of how far we’ve come from phone calls placed by an operator to today’s low-cost internet phone service with HD audio. 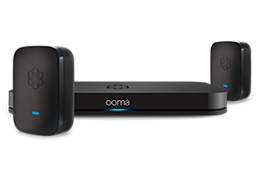 Learn more about Ooma is changing digital communications.